Last year, I had the opportunity to visit a local prison through Exchange for Change, a Miami-based nonprofit that teaches writing in prisons and runs letter exchanges between incarcerated students and classes at local high schools and universities. They hosted a talent showcase featuring more than two dozen incarcerated men celebrating their graduation from the program at Dade Correctional Institution. 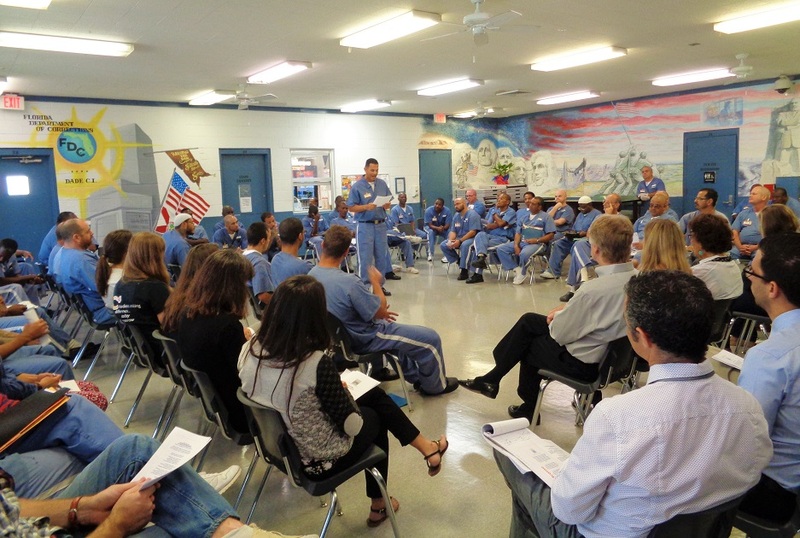 The men read or performed poems, prose and mock-debate in English and Spanish to a group of their peers and community members from outside the prison walls. The immense talent of their students is only hidden because they are behind bars, but the nonprofit is trying to change that by giving them an opportunity to use their voice and be heard. Getting the chance to attend, to connect with the inmates and hear them share their stories first-hand was a moving experience, one that I won’t soon forget. I am thrilled that they’re among the 76 nonprofits sharing more than $1 million in Community Grants this year to create opportunity for residents, ensure Miami-Dade’s resiliency and foster home-grown creativity. Community Grants is The Miami Foundation’s signature grants program through which we honor the generous donors who created permanent charitable funds to support causes they cared about in perpetuity. We stay true to addressing the issues that mattered to them but also remain responsive to our community’s needs. Moving into 2018, we aligned Community Grants with the themes of opportunity, resiliency and creativity, which speak to the quality of life our donors and we as a Foundation strive to help make a reality in Greater Miami. These updates allowed us to expand our orbit to include notable nonprofits we have not yet funded – like Exchange for Change – including some smaller ones, some newer ones and even some well-established ones. Meanwhile, for the residents of George Humphrey Tower (formerly known as Stanley Axlrod UTD Towers), 270 affordable housing units for seniors stand to turn market rate in 2019. In response, they formed the 1809 Brickell Tenant’s Association to cover expenses used to organize, administer and empower the senior tenants to protect their rights and homes. At the same time, they’re building a model that gives other affordable housing tenants facing similar situations an opportunity to protect and preserve their own rights and housing. Building a resilient Greater Miami will take all Miamians coming together and fueling efforts that encourage civic engagement. P.S. 305, for example, was started by former teacher and Miami-native Yannell Selman. She saw systemic issues in the school system, compelling her to get involved in education advocacy. Yanell and P.S. 305 are now working to build civic engagement in Miami’s school system. Their goal is to activate 1,500 residents in advocacy work on issue-based campaigns through grassroots efforts. They’re developing community leadership teams of parents, teachers and students, and equipping them with the tools they need to become stronger advocates for children and schools in their neighborhoods. These efforts are just a small sample of how local efforts and community-based organizations are equipping Miamians with the tools and resources they need to shape the Miami they want to see. Our hope is that you, too, will connect with a cause you care about – this year’s 76 Community Grants recipients are a terrific place to start – and we at the Foundation are happy to help you become a champion for it. Victoria Fear is a former programs officer at The Miami Foundation. So many reasons to be grateful to live in this great city. I love how proactive out citizens are. Thanks for shinning the light on some great work being done.